Monaco is the smallest French-speaking country in the world. It had a total area of 1.95 square kilometres but after expansion into the sea its area is now 2.05 km². 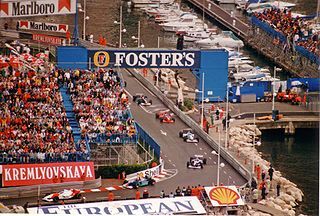 Monaco is noted for its beautiful, hilly, rugged, and rocky natural scenery and its sunny Mediterranean climate with mild, wet winters and hot, dry summers. As in nearby France and Italy, most people in Monaco are Christians, mainly Roman Catholic. After Israel, Monaco has the highest number of Jews as a percentage of its population. Monaco has the highest Human Development Index (HDI) rating in the world . Monaco is a popular base for rich people from around the world because of no income taxes. The enormous success of the Monte Carlo Casino provides income to Monaco and its Royal Family meaning residents pay less taxes. This page was last edited on 19 May 2015, at 07:21.